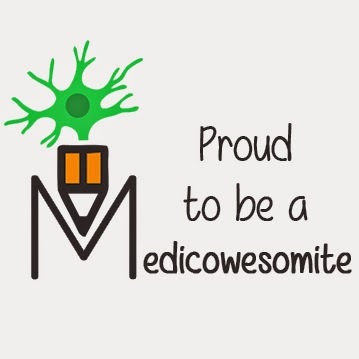 You can write for Medicowesome and share your awesomeness with everyone around the world! It goes on the "Submissions" page. If you want me to share your notes / knowledge / mnemonics on Medicowesome, email them to me (medicowesome@gmail.com) and I'll post it for you! Make a blogger account (blogger.com) using your Gmail account. Send me your email address. I will send you an author invitation, you must accept it within 24 hours. If you will be using a computer or laptop to post your blogs, continue reading. If you will be using the Blogger app on your phone to publish blogs, click here. I prefer you have concise titles on what the post is about. Make it a good title because that's what is seen on the contents page and writing "Random post" as title doesn't help! You can write your own posts, add your own images, notes (Don't use images from Google and avoid copyright issues) and mnemonics. Labels are important because they help readers go through a particular topic (Subject wise) on the blog with feasibility. If you don't label your post, it is likely to be lost in the sea of posts on Medicowesome. Do NOT use them like hashtags on Instagram, Do NOT create new labels. So in order to view the complete post users have to click on read more link. This keeps the home page clean! Once you publish a post, it will be online on the blog. It is automatically shared on Facebook, Twitter and sent to subscribers via Email. I'll upload it on Tumblr and other social media later. If you are not confident about posting it all by yourself, you can run them by me. You can also Save as draft and it'll be visible to other authors. You can't add page breaks on the app, so it's fine. And lots more, I guess? lol idk. Hi Ikan!your blog is so informative and fun. I really enjoy it and it helps me a ton. Thank you for ur work. Which hospital in Mumbai are you doing ur internship? I'm doing my internship at LTMMC, Sion. How about yourself? Hello..your blooger is nice... U think different from other that's whay u get different success from other ...Good luck for your future.. Right now what you are doing? ?